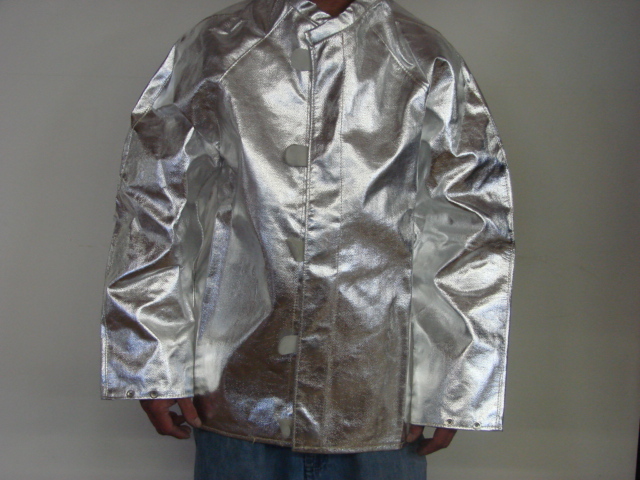 ASC's aluminized coats have been proven to provide the best protection against intense heat and flame proximity. Especially well suited for foundry workers, hazardous chemical workers and crash rescue firefighters. A light/medium weight cloth finely woven of core-spun yarns in a herringbone pattern. Made especially for safety garment use because of its excellent strength and abrasion resistance, its good flexibility, drapability and non-stretch workability. This fabric has a temperature protection range of 500°-600°F. Manufactured by Nor-fab Corporation.